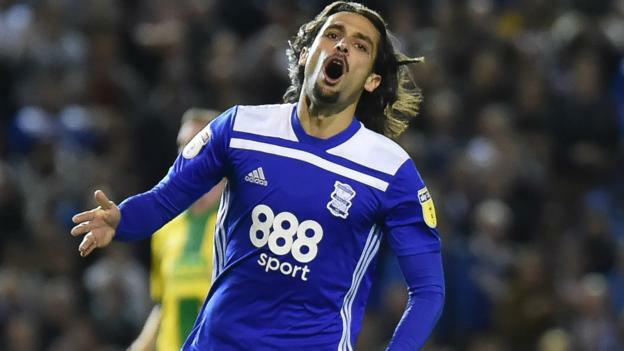 Winless Birmingham were held to a draw by West Midlands rivals West Brom in an entertaining Championship encounter. Jota scored from close range to put the hosts ahead but failed to make it 2-0 a minute later when his penalty was saved by visiting goalkeeper Sam Johnstone. The Baggies levelled through Matt Phillips’ strike before the break. Both teams pushed for a winner in the second half, with Johnstone forced into a fine save by Che Adams before Dwight Gayle hit the bar for the visitors. Garry Monk’s Blues remain without a win after seven league matches, though they have drawn five of those. It could have been so much better for Blues if Jota had scored from the penalty spot after Baggies defender Kyle Bartley was penalised for handball in the area just after the hosts had gone in front. As it was, Birmingham, who have scored just five times this season, were again made to pay for their inability to make the most of their opportunities. They had the better of the big chances after Phillips had levelled for Darren Moore’s men but could not find an elusive winner, with Jacques Maghoma guilty of miscuing a fine headed opportunity. West Brom, who are up to fifth, host Bristol City on Tuesday, while Blues visit Sheffield United on Wednesday.